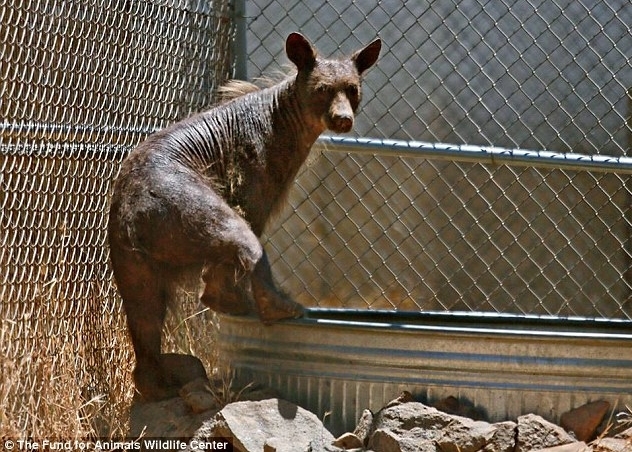 Heartwarming photographs show a California black bear's miraculous recovery six months after she was found emaciated and hairless while rooting through a dumpster. 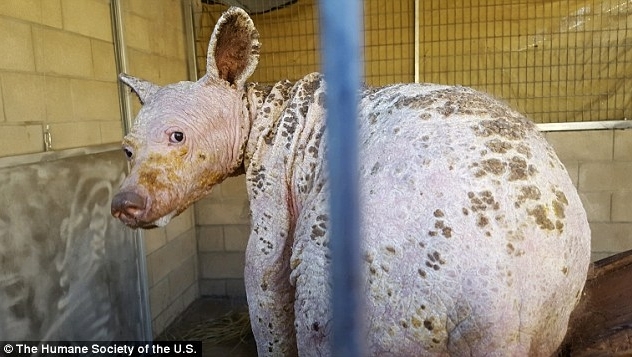 'Eve the bare bear' was just 25lbs when she was rescued by the Fund for Animals Wildlife Center in Ramona, California, on Christmas Eve last year. 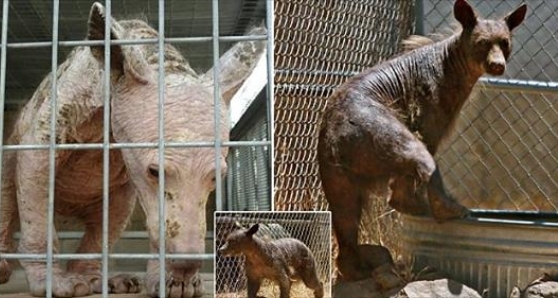 This week the center shared photos of the bear who now weighs more than 100lbs and has almost fully recovered from the severed case of mange that had caused all of her hair to fall off. Veterinarians had initially assumed Eve was a cub due because she was so small, weighing about a quarter of what a bear her actual age - estimated to be three or four years old - should weigh. After months of treatment including biopsies, bloodwork, skin treatments and medication, the 'very resilient' bear is finally looking and feeling healthier. 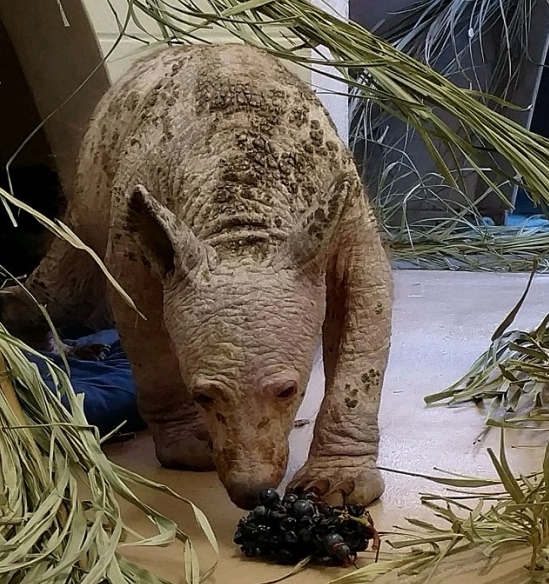 While she is still suffering from a skin infection, center director Matthew Anderson reported that her fur and appetite have continued to grow each day. 'She started climbing trees and using the pool on hotter days and it's been a joy to see because that's the kind of normal bear behavior that we were looking for,' Anderson told ABC News. With more time, Eve's care team hopes the critter will be able to be released back into the wild. 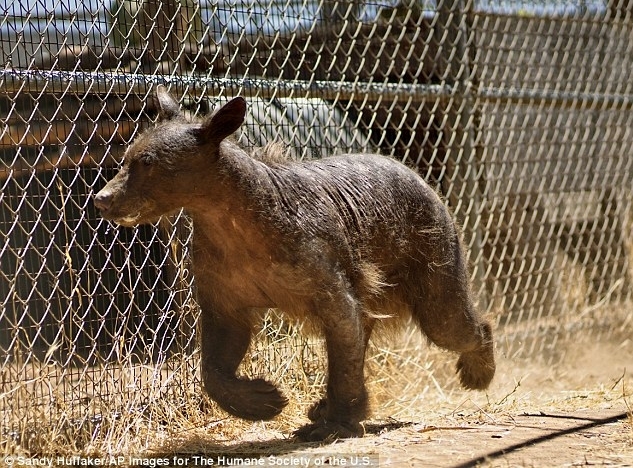 Responses to "Heartwarming photos show California black bear's miraculous recovery"